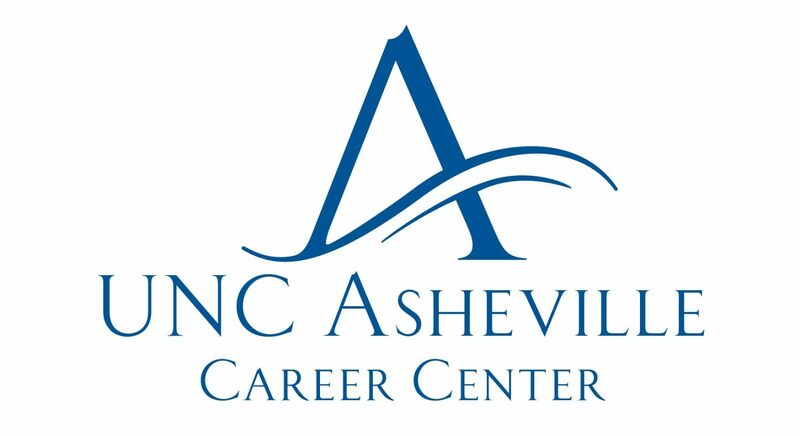 -Tell us a bit about your experience at UNC Asheville? What is your major? When did you graduate? How were you involved on campus? Hello Bulldog family! My name is Lauren Woodard and I graduated from UNC Asheville in 2007 with a B.A. in psychology. After graduation, I went to Western Carolina University, where I obtained my Master’s degree in Social Work in 2009. While a student at UNC Asheville, I was very involved in the psychology department. I was a member and eventual president of Club Psych and was a member of Psi Chi, the National Honor Society in Psychology. I was also a leader of the College Democrats and a member of Active Students for a Healthy Environment (ASHE). Additionally, I took part in many service learning activities in the community that were offered through UNC Asheville, which very much inspired my passion for community stewardship. -What are you doing today?In August 2013, I moved back to Asheville (from Washington, DC), and have been working at Park Ridge Health since September 2013. I work as a licensed clinical social worker (LCSW) and certified oncology social worker (OSW-C) for Park Ridge Health’s outpatient cancer centers. My role includes assisting patients with all things psychosocial as they navigate through the cancer journey. A typical day at my job might include formal counseling sessions with patients and their families, facilitating a support group, assisting patients with financial needs and transportation to treatment, and meeting with the patient’s oncologist to review a patient’s prognosis. Previously, I worked in Washington, DC for 3 ½ years as an oncology social worker for the George Washington Cancer Institute and George Washington University Hospital. -Can you tell us about your first job search? 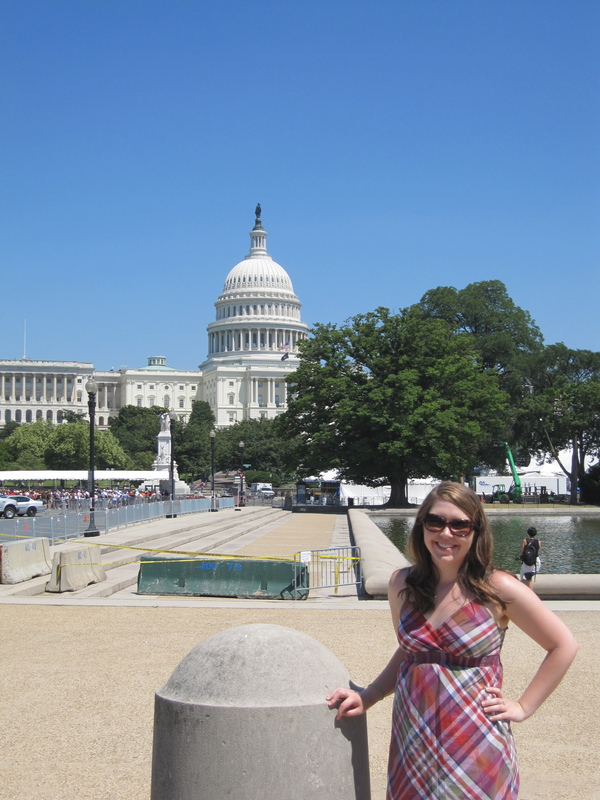 After graduate school I relocated to Washington, DC to begin my career in oncology social work. Being in a new and large city, my first job search was somewhat intimidating! I did not have any personal or professional contacts in the city, and quickly discovered that in a larger city your application can be one of 500 they receive for one open position. To better my odds, I contacted the director at my top choice for employment and requested an exploratory interview to obtain more information about the role. After the exploratory interview, I was asked back for a panel interview, a follow up interview and was then offered the position with the George Washington Cancer Institute. After I was hired, the director told me that a few hundred people had applied for the position and that my request for an exploratory interview was unique and therefore made me stand out from the other applicants. -What experiences have best prepared you for your current professional role? Through my education at UNC Asheville, I developed a genuine inspiration and desire to be a lifelong learner. Being a lifelong learner benefits me as it motivates me to constantly seek opportunities to better myself professionally and personally, both of which enhance my career experience and proficiency. Since graduation, I have joined professional organizations and taken part in many continuing education classes, conferences and workshops. I also stay up to date with the newest research in oncology social work and counseling, which I believe has made me a better social worker. As a lifelong learner I have also developed specialty areas, such as cancer survivorship, within my job which has led to career growth and exciting opportunities. I credit this genuine thirst for knowledge to my liberal arts education and the emphasis UNC Asheville places on lifelong learning. -What is next for you? I have recently been named “Oncology Survivorship Program Coordinator” at Park Ridge Health. This aspect of my position will allow me to develop and implement survivorship programming and supportive services for cancer patients who have completed their treatment. Survivorship is a relatively new area of focus in oncology, but one that I gained expertise in while working in Washington, DC. It is very exciting to apply my knowledge about survivorship at Park Ridge Health for our patients. In addition, I am involved in the community as a member of the Junior League of Asheville. Being involved in the Junior League of Asheville is a wonderful way to give back to the community, gain leadership skills, and continue towards my goal of lifelong learning. I recommend that all graduates find a community organization to become involved with, as I believe it provides opportunities for professional and personal growth. -What do you know now that you wish you knew as a student? That you don’t have to have it all figured out when you walk in the door! As a freshman, I entered college believing I knew exactly what career I wanted, what I wanted to major in (not psychology at the time), and all of the classes I was going to take for the next four years. Then, as fate would have it, I enrolled in my first psychology class and completely fell in love with the field. Although I think it is good to have a plan, allow for flexibility and your own personal growth and change. College is about finding out who you are, what your passion is, and what inspires you. Take full advantage of that and I believe you will grow leaps and bounds as a person, and your plan will ultimately find you. Funny enough, I also wish I had known that group projects really do benefit you in the “real world.” As a student, I dreaded group projects and group presentations, but heard professor after professor tell our classes how applicable they were in job settings. I’m here to say that they were right! Being able to work effectively and efficiently as an individual and as a group is imperative to success in any job setting, so consider those group presentations “on the job” experience. -What advice do you have for job-seeking students who are pursuing your degree? Helping professions in the psychology and social work fields are very diverse and there are a lot of paths to choose from – from community mental health with adolescents to a job like mine in a medical setting. My biggest piece of advice would be to seek out shadowing, volunteer and internship opportunities in varied settings early and often. Such “on the job” training experiences will show you first hand where your passion is and what kind of a helping profession role you would like to fill. Equally as important, volunteer or intern positions could lead to your dream job. In today’s job market, many organizations prefer hiring individuals who have completed an internship. I also advise psychology majors to take in as many research and career talks as possible. My first exposure to providing counseling in a medical setting was in a lunch time lecture provided by the psychology department. My final piece of advice is to realize that most social situations are great places to network. You never know who you will meet – it could be a future supervisor or coworker. I once had a supervisor who told me “in the professional world, networking is key, you have to tell people who you are and what you want to get where you are going.” She advised me to always carry a business card and to have an “elevator speech” prepared when people ask what I do. I let them know not only what my current job is, but also what my future goals are. This is a practice I still use to this day, and have had many great opportunities come from it. -What is your advice when graduates begin their first job? After landing your first job, seek out a mentor in your field. I was advised to do this early in my career, and my mentor has been a truly valuable resource for me. Mentorship will provide you with ways to navigate your first job, as well as guidance on how to grow in your professional role. You will benefit from their years of expertise and gain priceless knowledge that often only comes with experience.